Collect Coffee Bar is my newest go-to place for a relaxing and productive moment of reflection and self-collection. Jamal Anabtawi sold Sara Jarrar a car and a conversation began which culminated in many conversations every day in a gathering place called Collect Coffee Bar. 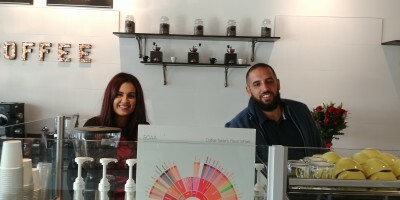 “It is all about community,” says Sara who owns the coffee shop with her husband, Jamal. 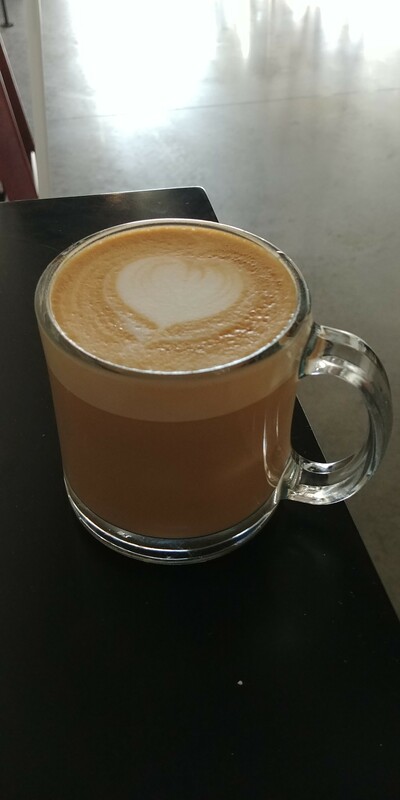 “People really like the Lavender Latte,” she replied. I can see why. I could taste why. First, there was the presentation with the signature heart on top. Then, there was the aroma. Finally, there was the flavor that deepened with each sip. 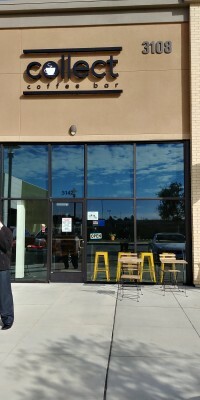 I guess I’ll have to go back for the coffee. I will go back for the coffee. “Welcome to Collect Coffee Bar! 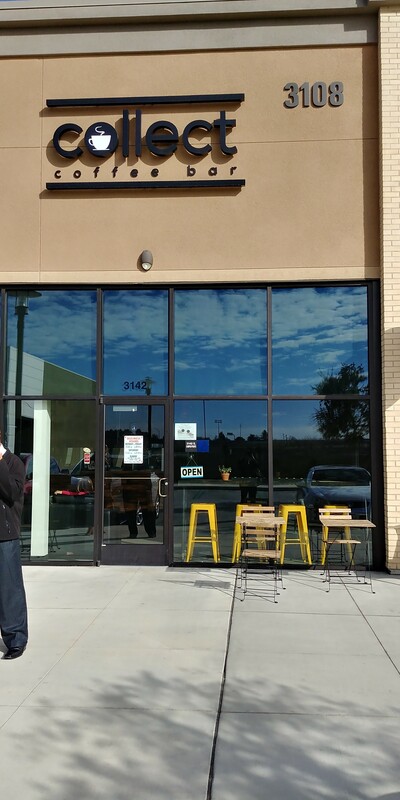 We are Fresno’s new hang-out spot, study pad and business meeting location. 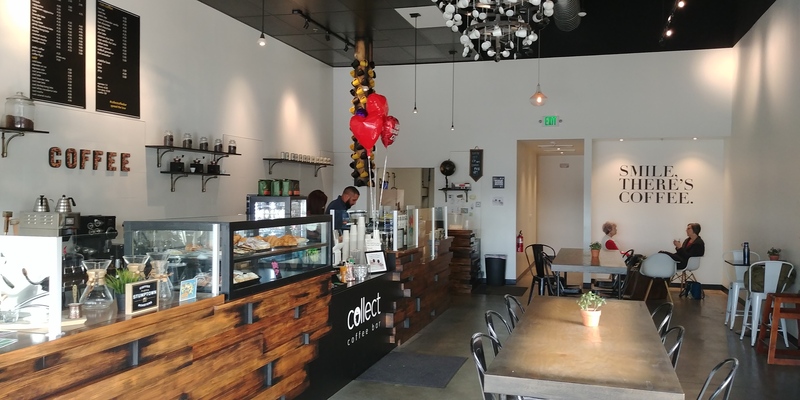 Collect Coffee Bar opened last year and is one of the signature locations at the new Campus Pointe Center on Shaw near the 168 exit across the street from Save-Mart Center and Fresno State University. We agreed that coffee and tea are very healthy. Since we were both already members of the choir, we did not need to cite sources or argue the point. Just sip. I resisted the displays of tempting looking food. 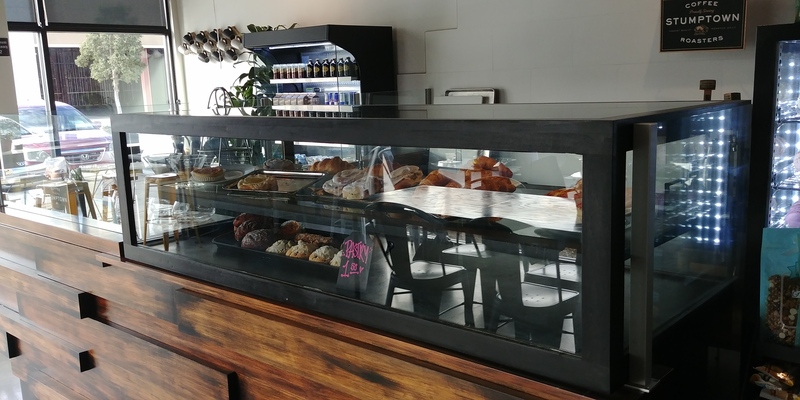 All the pastries are seasonal, outsourced, and local. My observation is that the clientele was a mix of faculty, students, business professional people, and a cross-section of ordinary folks. That is verified by my perusal of an overwhelming number of positive reviews and comments on social media and foodie sites on the internet. Comments are enthusiastic. The decor reveals imagination and thought. Everything seems designed to make people feel at home, settle down, and talk, read, or work. They put a lot of love into their work as well as extra care. I will go back every opportunity I have. When, in the neighborhood, it will be my favorite place to stop, sit, and sip.